Similar to Angoori Petha, Kesar Angoori Petha is a tad bit tastier! It sounds improbable since Angoori Petha in itself is quite tasty but trust us, Kesar Angoori Petha takes it to a whole new level! 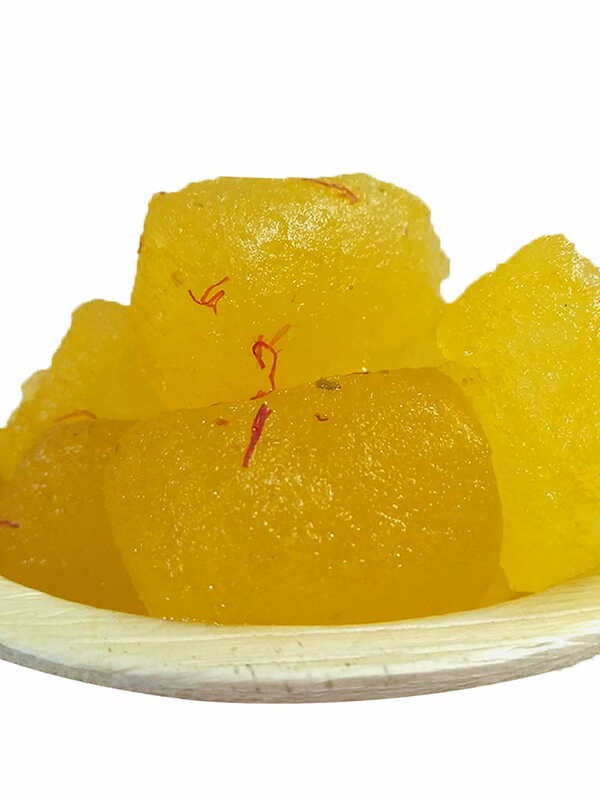 Kesar has been used in India since time immemorial to enhance the flavor as well as for its million health benefits. Adding kesar to the Angoori Petha is a sheer genius and the result is totally delicious! 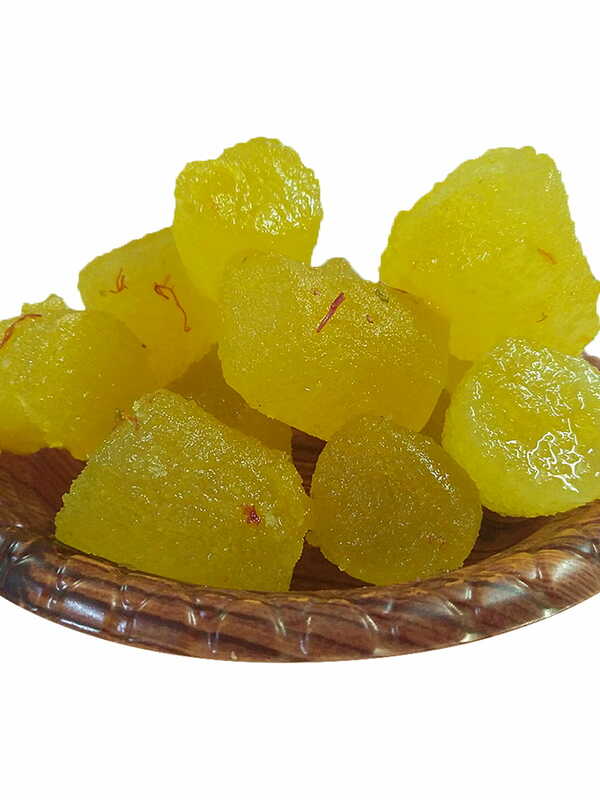 Petha comes from Agra and a manufacturer such as Panchhi which has been making them for a long long time is bound to be a master! We bring this heavenly sweet from the historic ex-capital city right to your home! Yes! FoodFeasta products can be bought online and are delivered right to your homes! 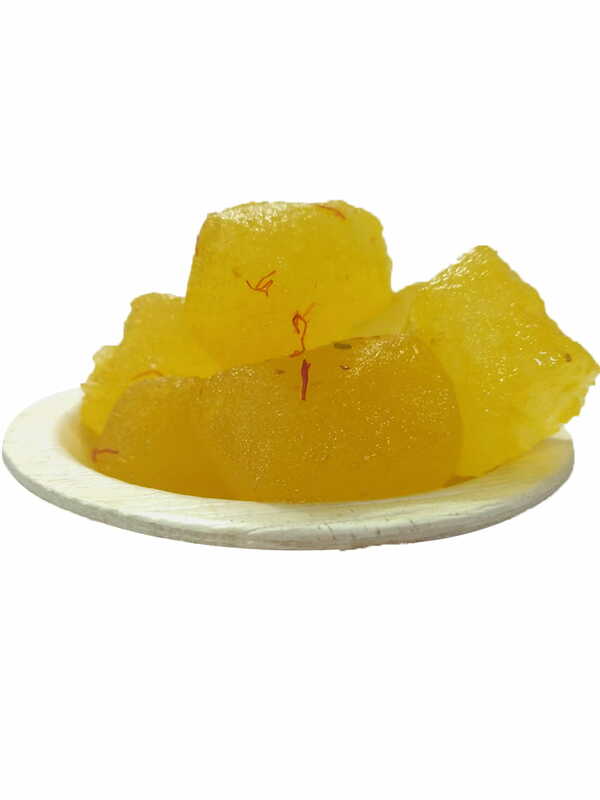 So don’t wait till the occasion passes by, order Kesar Angoori Petha today!